We take pride in quality craftsmanship! "Call us today for a free phone consultation to find out how we can help you with quality service and reasonable prices." is a fully insured and licensed professional property maintenance company serving the greater Las Vegas metropolitan area. We provide property maintenance services to Property Management Companies, Homeowners, Businesses, and Investors. 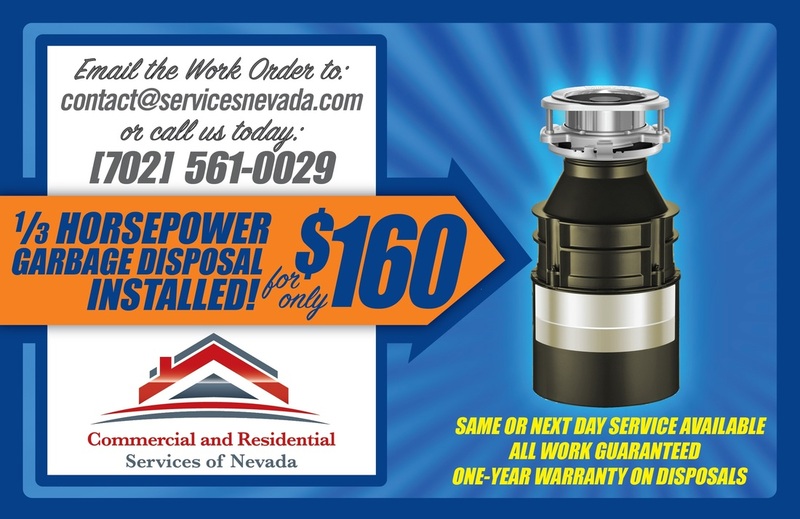 CRSN specializes in repairs such as a 1/3 horsepower garbage disposal for $160 installed, faucet repair or replacement, complete toilet rebuild, and other small repairs. After working in both construction and customer service related fields for over 18 years, I (the owner) understand the importance of providing a quality product and a great experience to our customers. All of our workmanship is guaranteed and very competitively priced. To schedule an appointment, see the "Contact Us" page or call us at (702) 561-0029.